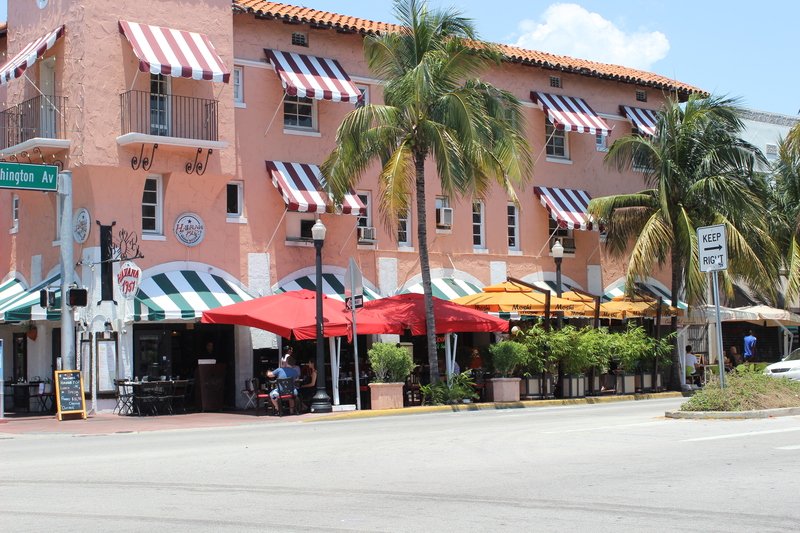 While this place was on the beaten path of South Beach’s popular Espanola Way, the flavors and impeccable service did not disappoint. I dream of one day going to Cuba, but due to some, ahem, restrictions, it isn’t happening anytime soon. My May visit to Miami, almost a celebration of our engagement, only fueled that desire even more! 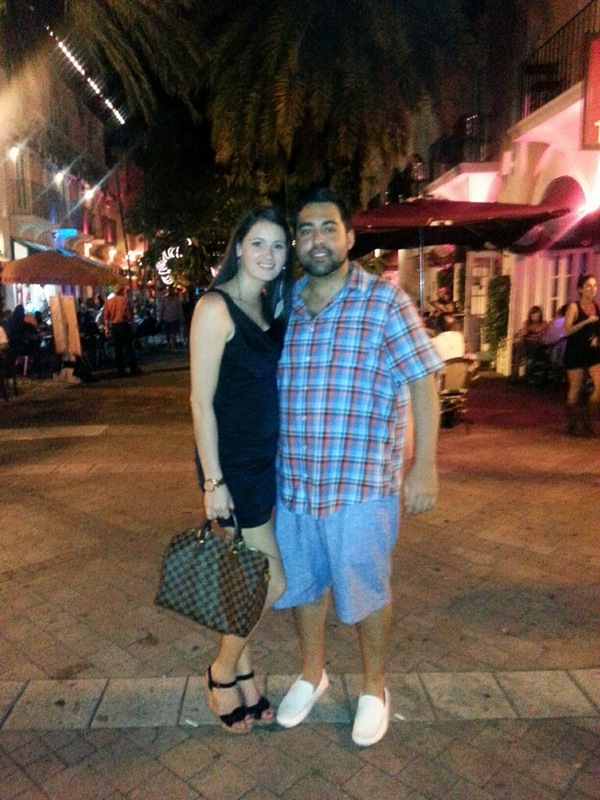 One of my favorite evenings of the trip started on Espanola Way on South Beach. The strip of restaurants has everything you can imagine, but we landed at Havana 1957 at the suggestion of our wonderful hotel staff. 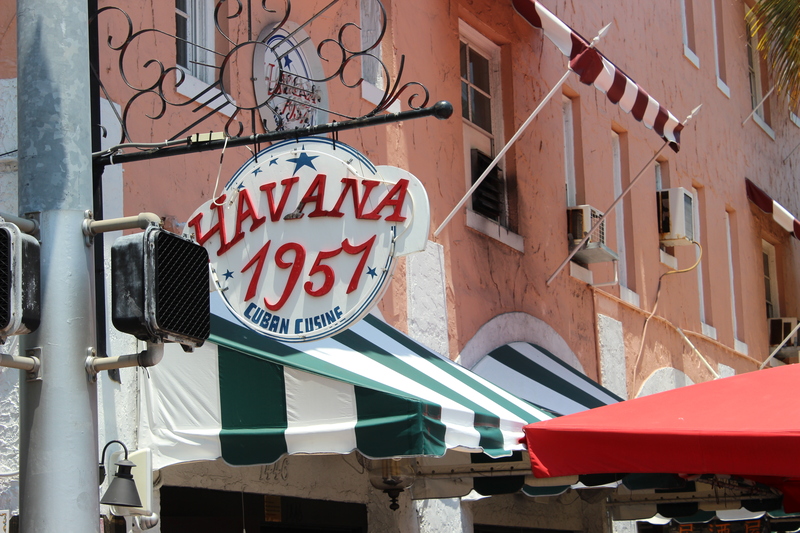 Our wish was for authentic Cuban cuisine without venturing too far from where we were staying. They suggested reservations. We ignored, not wanting to commit without scoping the place first. But the enormous smile of the hostess and her warm welcome pulled us right into this open air Cuban restaurant. All the wait staff, dressed in white and red, sauntered around the crowded, though not overly so, restaurant, bar and patio with a rhythm that my Anglo ancestry will never afford me. Bummer. The staff humored me with the assumption that I spoke Spanish (my recently colored dark brown hair and hispanic fiance may have helped my case, but I think they were just being kind) and Juan Carlo, our waiter, charmed us completely. At his suggestion, we each ordered a standard Cuba Libre with a selected rum. With real Coke in a glass bottle poured over a tasty rum, I was sold before even eating dinner! Alas, we were there to eat. I was craving seafood being so close to the ocean from land-locked Denver, but Leo wanted red meat. I ordered the Pescada a la Plancha, again at Juan Carlo’s suggestion, and was not disappointed. Fresh food with light flavors absolutely hit the spot on a hot evening on South Beach. The dish comes with a side salad, but I recommend swapping it for the black beans which are absolutely incredible. Leo chose the Churrasco a la Cubana, a flank steak with grilled onions, white rice and black beans. It is amazing what the chef makes white rice and black beans taste like. Words would fail me, and disappoint the chef so I won’t try. 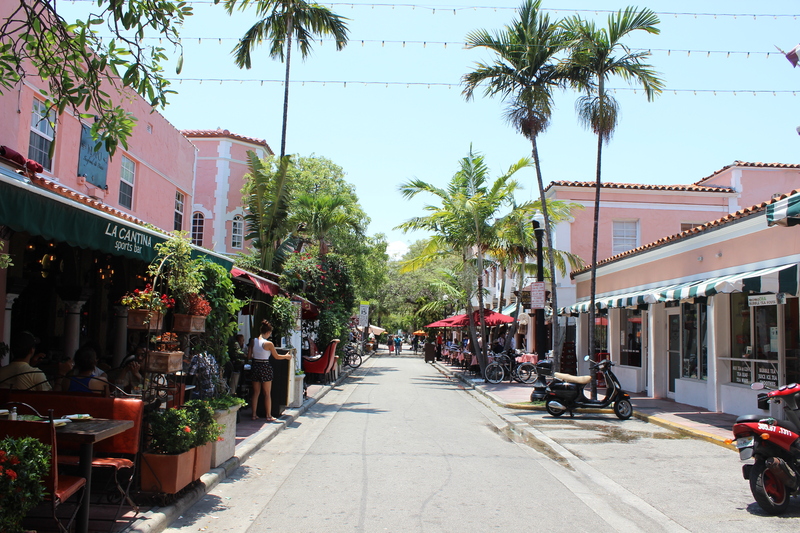 Anyways, the restaurant was a perfect dinner out, and we finished it with a walk up and down Espanola Way before heading out on the town for a Friday in South Beach. Located right on the corner of Washington and Espanola Way, this is a perfect place for a romantic dinner with a uniquely Cuban flair. At night, this lights up with all the restaurants and bustle of visitors to South Beach. Leo and I so happy after dinner and a walk along Espanola Way.